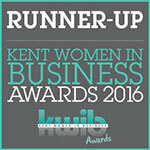 Right, it’s been grey and drizzly outside today in Kent so I thought, what better way of brightening up the day than making a rainbow rose! And, because you lot always brighten my day, I thought I’d share the tutorial with you all. You first need your rose cone. Roll a small ball of whatever colour you will be using in the middle of your rose. Shape this into a cone shape like so and leave to dry. 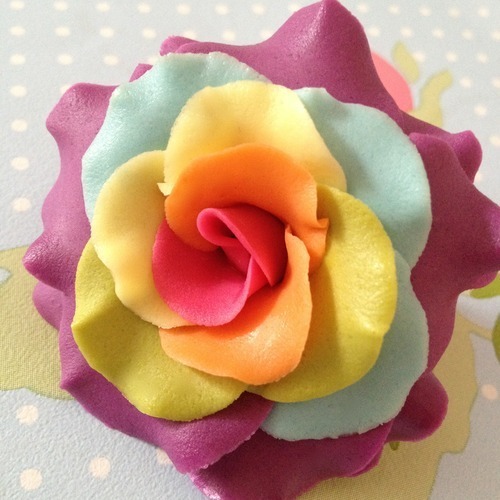 Cut out two small petals and transfer to your foam pad. Use your ball tool to frill the edges of your petal by pressing it down half on the petal, half on the pad and running it around the edge. This can take some practise, so don’t worry if you don’t get it on the first go. 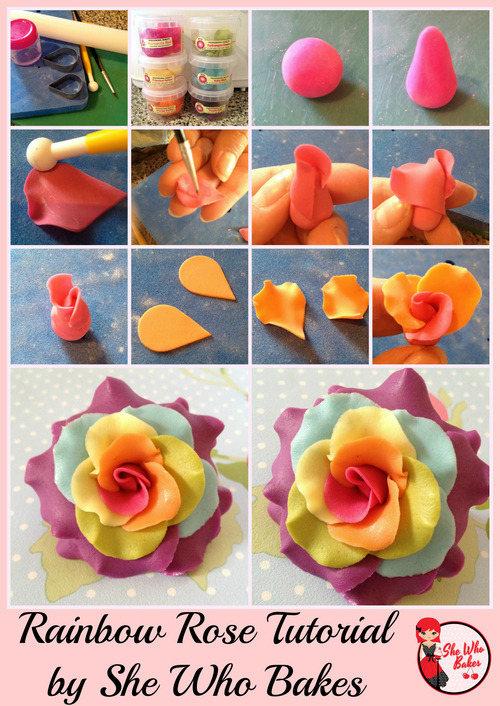 Paint the back of the petal thinly with glue. Wrap it around your ready made cone. Repeat the frilling for the second petal and glue this slightly inside the wrap of the first petal. Repeat with your next colour, so cut out and frill. Glue these petals slightly inside the wrap of the previous petal. Repeat for your third colour and when you get to the fourth colour, switch to the bigger petal cutter. Keep going until you are happy with the size and shape of your rose. Leave to dry then use as desired! 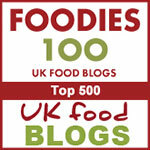 Give it a go and let me know how you get on as always either on Facebook or Twitter! How are we all? Oh, good to hear it. 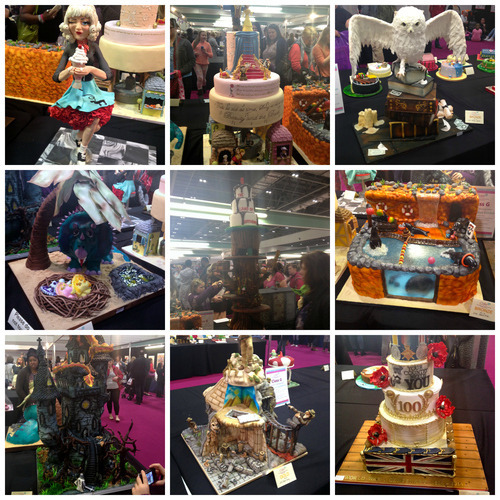 Well this week I went to Cake International at the ExCeL centre in London. 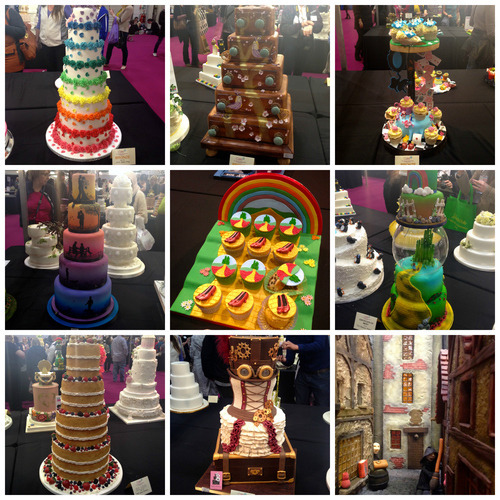 I really enjoy Cake International and the competition area. 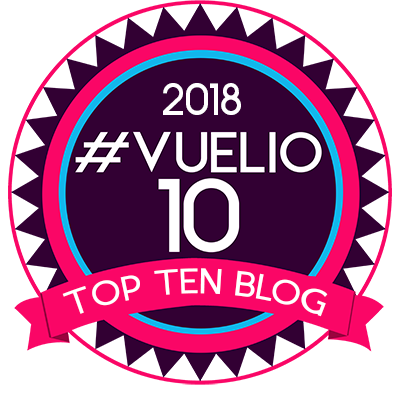 I’m always in awe at the amazing talent on show. 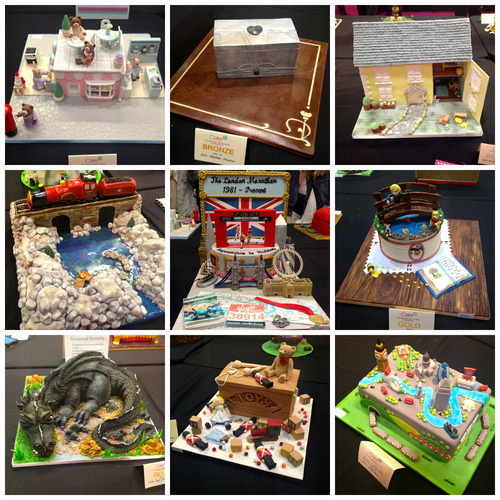 Whether you’re a novice to cake baking and decorating, or have been creating masterpieces for many years, you won’t want to miss the opportunity to enter the competition classes at Cake International – The Sugarcraft & Cake Decoration Show. 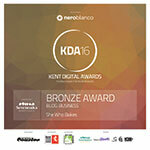 This is your time to shine and showcase your skills and creativity to the world! You never know, I may even enter next time. 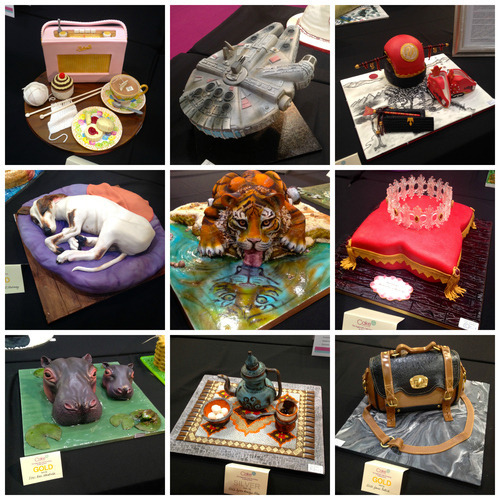 😉 Until then, here are some pictures of the fantastic cakes and exhibits. 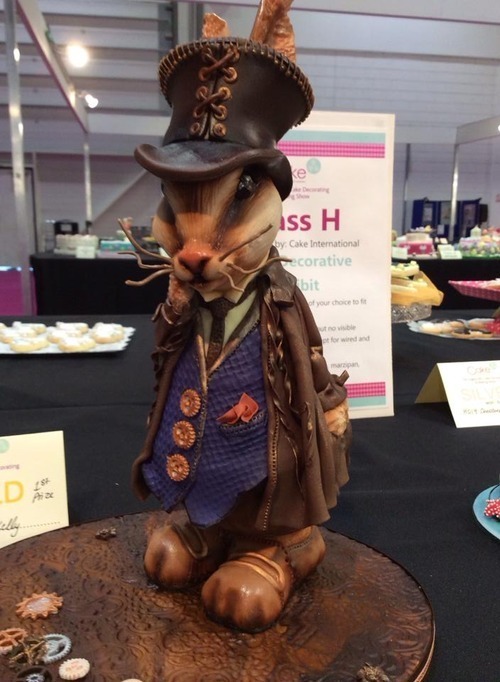 MASSIVE congratulations to Jacqui from Cake Revolution for winning not only her class but best in show with her steam punk bunny! He is absolutely stunning. 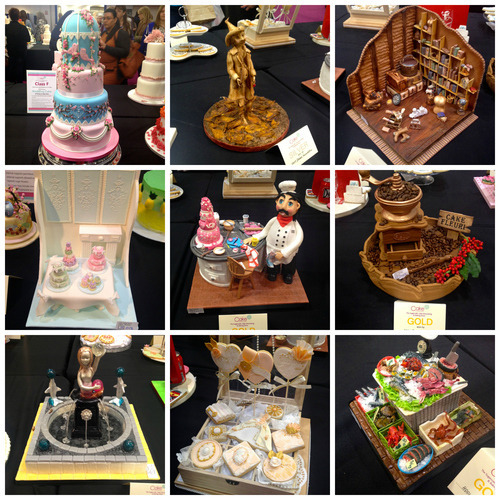 and demonstrations from the world of sugarcraft, cake decoration and baking. So if you missed this show, make sure to head to Birmingham in November! 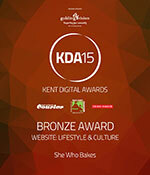 Details of which can be found here. WOW. 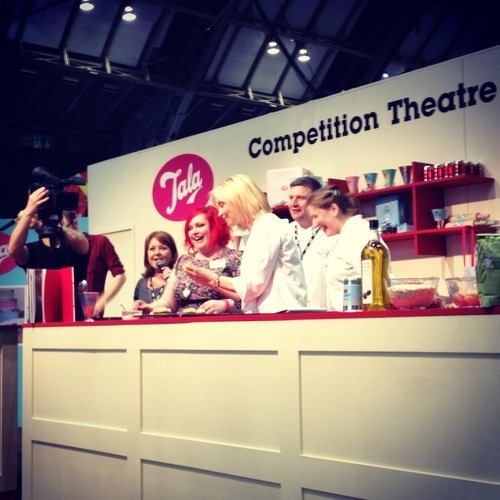 What a brilliant time I had at the Cake & Bake Show in Manchester! Cook a three course meal at the same time with multi-level cooking and, better still, have no flavour transfer across dishes. Get cooking faster with little or no pre-heating of the oven. 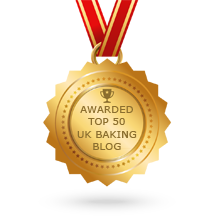 Better cooking results because of even heat transference through the oven cavity AND no loss of heat when opening the oven door. Moist, succulent roast dinners are achieved easily thanks to the speed at which the heat is delivered throughout the oven. No need to turn food on the grill, the air circulates to give perfect results EVERYTIME. John gave a great demo of the ovens in action and I must admit. I’m sold! 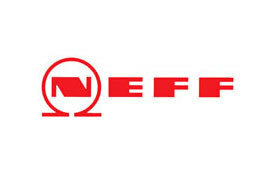 Here is me, John and my wonderful PA Colin at the Neff stand snacking on the Bake It Yourself with Neff logos! Ha! The show was everything I expected and more. 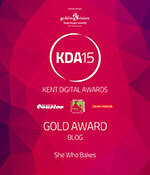 There were imaginative creations, baking demonstrations from industry experts and a plethora of samples to tease you. 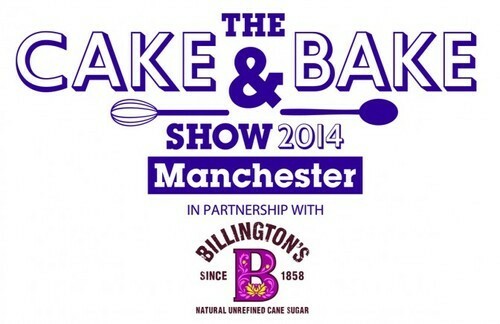 It wasn’t just sweet treats on show at Manchester Central, with pies and breads available to buy and TV chef Simon Rimmer teaching a masterclass on baking pie at The Bakery Stage. 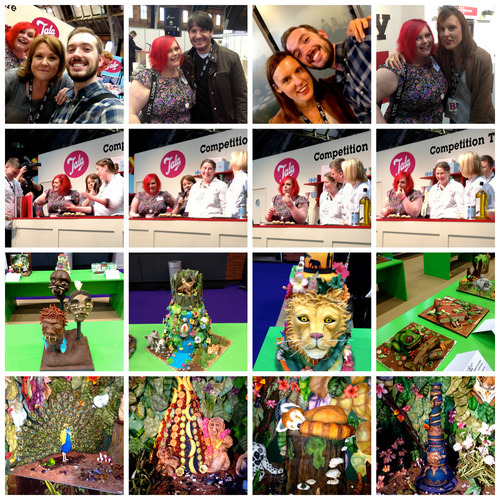 This year, a talking point of the show was the Welcome to the Jungle display by CakeBomb. 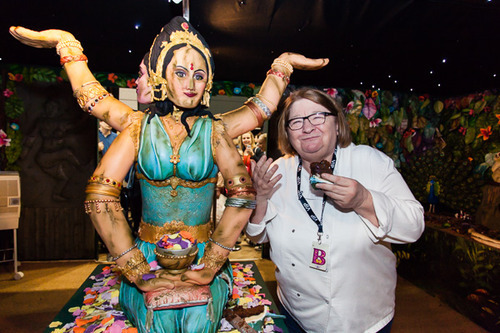 The installation is created solely out of cakes and treats and stepping inside an edible jungle is a unique experience smelling sweetly of chocolate! 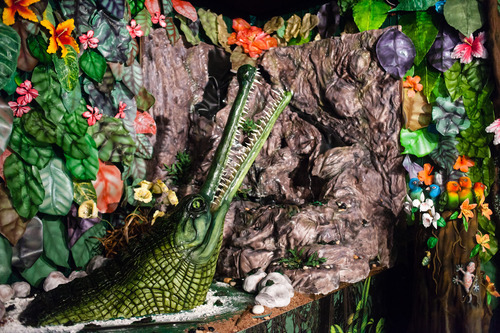 The detail is intricate and shows realistic crocodiles, bugs and scenes straight out of the Jungle Book including a working waterfall and smoking pipe! This is one of my favourite selfies of all time. 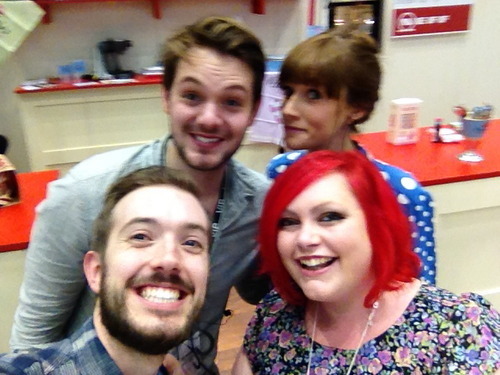 Me, Colin, John Whaite and Cat Dresser. 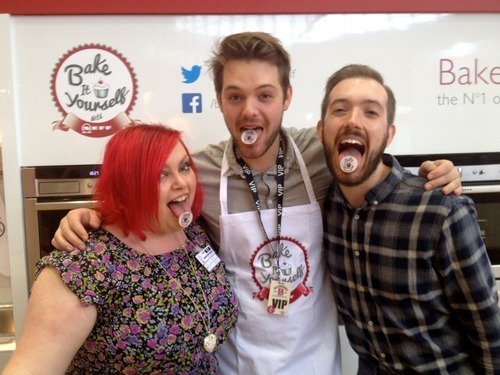 Here are some more photos from the day including selfies and me judging the bake off. Above are some photos from the ‘Welcome to the Jungle’ exhibit. I am always amazed by the sheer talent of cake decorators. It’s art. 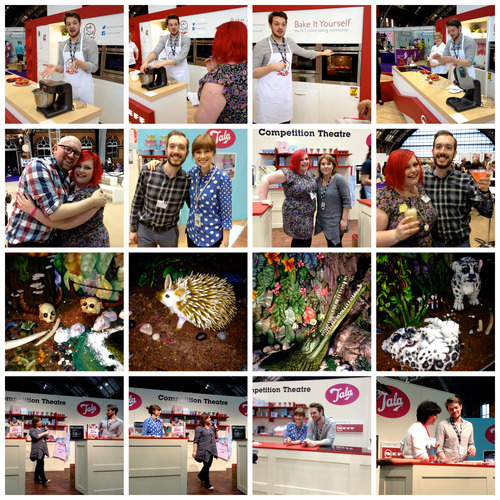 Above are pictures from the Neff demo with John Whaite, a few selfies, some more jungle pictures and a bake off between John and Cat Dresser. John dragged his lovely mum up on stage! 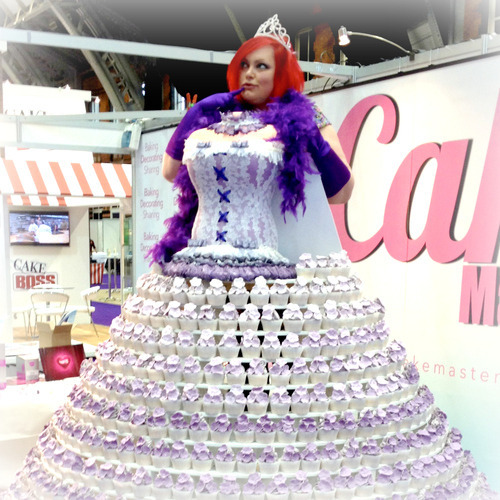 One amazing feature at the show was the Cupcake Dress made by Cake Masters. 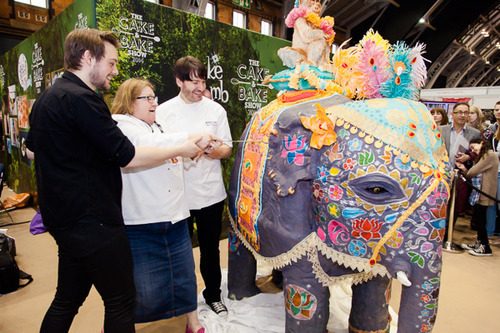 It was made up of 800 cupcakes and over 5000 sugar flowers!! You could get into it for a photo and of course, I had to have a go! It was completely brilliant. 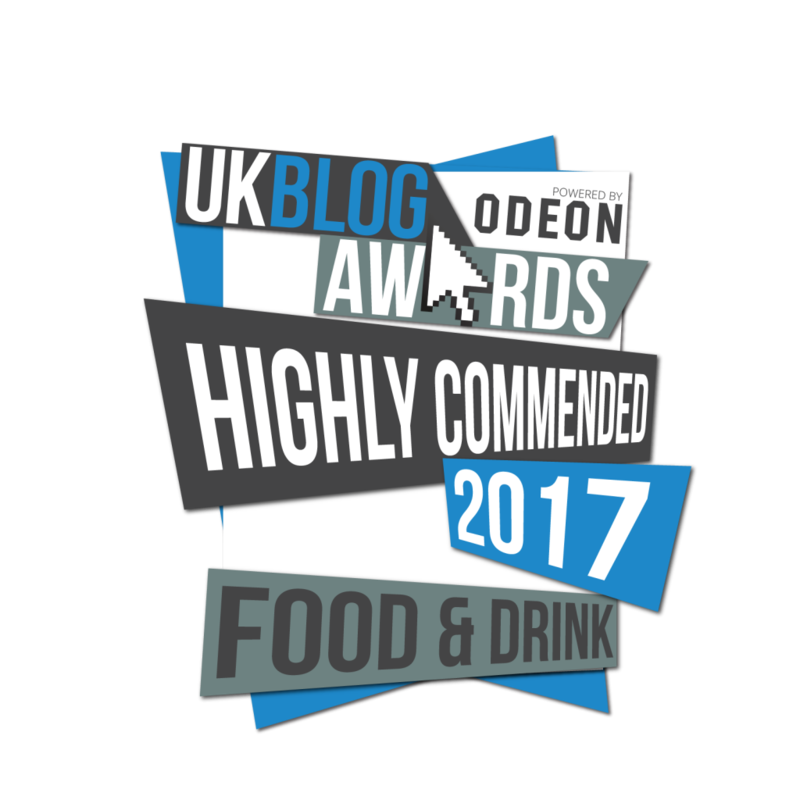 I can’t recommend the show highly enough. 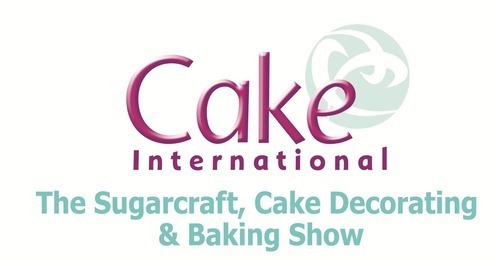 Get your tickets for the London Cake & Bake Show in October here. Did you go to the show? I’d love to hear from you if you did! Contact me as always on Facebook or Twitter. 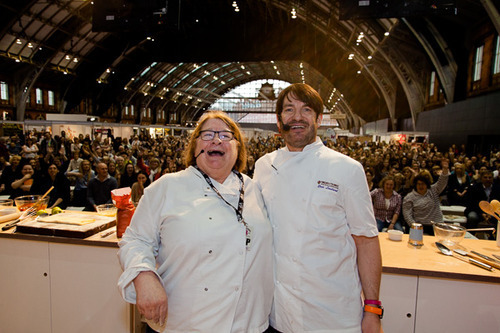 Here is a little video of me and my wonderful PA Colin making Creme Egg Brownies! Colin uploads fun Snapchat stories of him baking and other adventures so make sure you give his YouTube channel a cheeky follow, and enjoy the video!